Yeah, I think that looks pretty good. Don’t you? I snoopervised over the weekend and we’ve got just about all of our howl-o-weenie stuff up. I like the wreath and the flag, but these dead bats have got to go. These guys have been in the attic for a gazillion years. Oh me. My favorites are the little orange lights in the big bushes. But we’ve got some other stuff to put on weenie night. Before the spooks come out. I wonder if the peep is going to put a hat on me again this year? 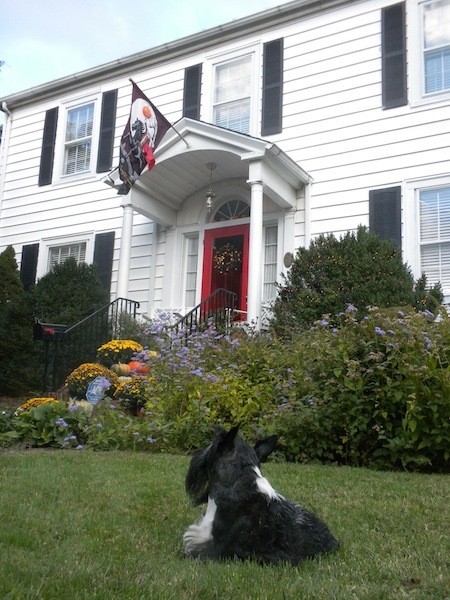 This entry was posted in Scottish Terriers, The Scottie Chronicles and tagged bats, dogs, halloween, Halloween decorations, house flags, Scotties. Bookmark the permalink. Very impressive, Stuart, good job snoopervising. I like the little pumpkins on the sill of the half window over the front door! Things are looking good at your house Stuart! Those bats are fun scary 🙂 Hope you don’t have to wear anything on your head this year either. Tell Them that if you have to wear a hat, make it a headless horseman’s hat. Nobody could tell that it’s you. No shame, no blame. 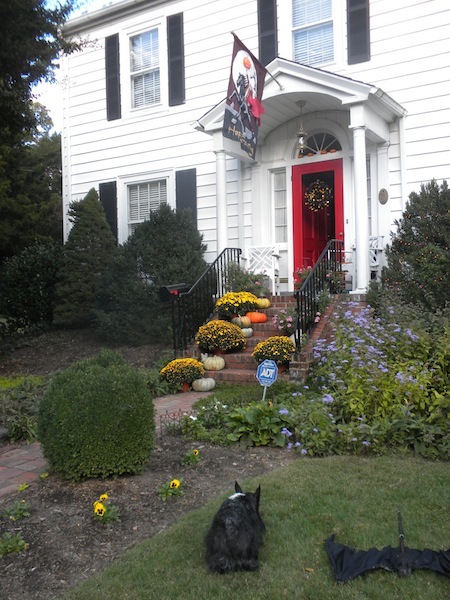 Your house looks so festive, Stuart! Our front entry is very similar to yours with the small porch roof and pillars, sidelight windows and the arch window over the door ☺ We could be twinsies! Great job! What would they do without you! Gosh Stuart your house looks really SWELL for Halloween! 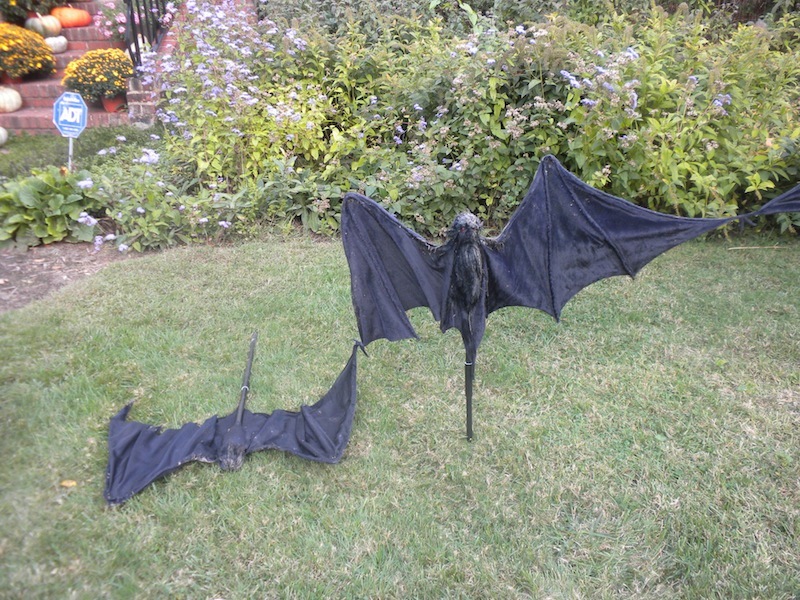 Those bats do look a little bit tired….but then bats are UGGGGGLY anyway! I’m sure you’d look smashing in your Weenie hat. those are very pretty decorations.